So after months and months of teasing and waiting, Square Enix has finally announced when everyone can get their hands on the newest chapter of the popular Deus Ex series. 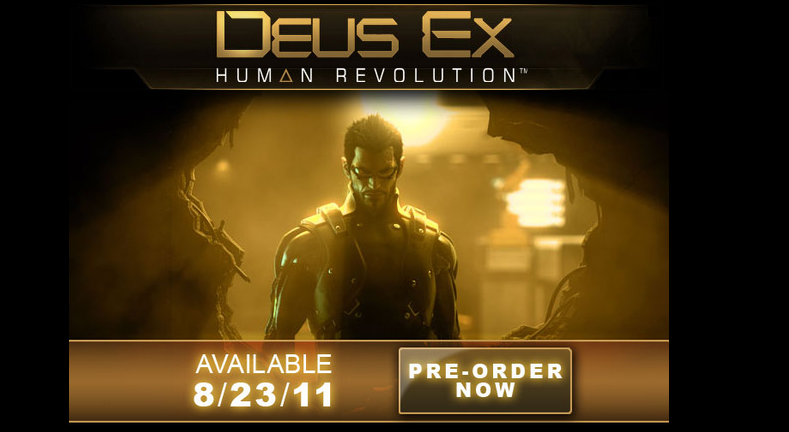 Deus Ex Human Revolution will be released on PC, PS3 and 360 on August 23/2011. Promising to be a worthy follow up to the cult hit there will be 2 different editions to be launched of the game. The regular edition will be $59.99 for consoles or $49.99 for PC and a limited edition will give a few extra goodies to the people who purchase it. 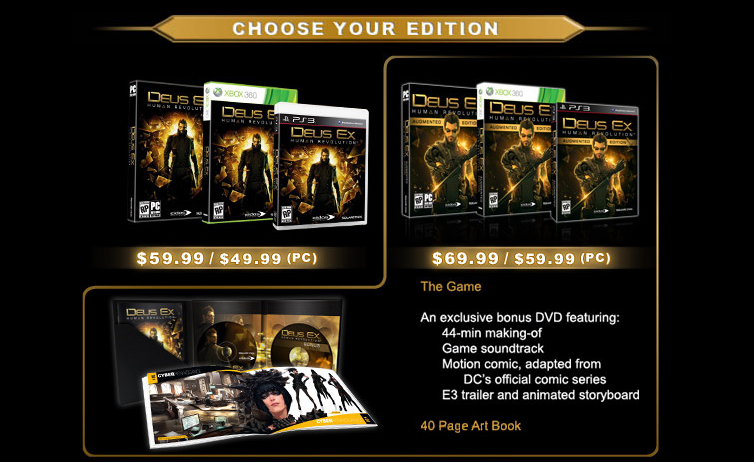 The special edition will be only $10 more on both consoles and PC and will include a bonus DVD that has a 44 minute the making of special, the Game soundtrack, a Motion Comic from DC’s series, and E3’s official trailer and animated storyboard and a 40 page Art Book. Also if you pre-order the game at GameStop you get 4 exclusive downloads available at launch. So who’s running out to pre-order it now?